It could be easily argued that living in Bend means never needing to travel far to access a wide variety of recreational and scenic opportunities. But, if your hunger for the mountains, the hiking and biking trails, the river, the music, or the beer becomes sated, there are an equal number of doable road trips that take the traveler to an even wider variety of terrain and things to do. Here are some suggested road trips that will reawaken your appreciation for what Oregon has to offer. Ninety-minutes north of Bend, on the Warm Springs Indian Reservation, sits the Kah-Nee-Ta heated mineral pool complex. Offering areas for the little ones, those plummeting down the 140 or 184-foot water slides, and deep water swimmers, the complex provides winter warmth and summer cooling in a beautiful high desert setting. The lifeguard-staffed pools are surrounded by plenty of areas for relaxation and picnicking, and there is a bathhouse with hot showers and lockers. Towels are offered, but you may want to bring your own. Drive north on Highway 97, turning west onto Route 26 to Warm Springs. In town, take a right at the big sign for the resort for a scenic, worth-it-on-its-own, 12-mile drive to the pool. Bend has Lava Butte and the Newberry Caldera, but for a volcanic formation of a different sort, head south to Fort Rock to experience a massive volcanic tuff ring formed by rising magma that encountered the former lake bottom. The 4,600 foot diameter ring rises 200 feet above the desert floor and the surrounding flat plains, one of about 40 such formations in what is known as the Brothers Fault Ring. There are plenty of walking opportunities in and around the ring, with areas to sit and soak up the sun. After your fill of the natural formation, a must-stop is the adjacent Fort Rock Homestead Village Museum town, site of a number of historic dwellings moved to the location for preservation. Drive south on Highway 97 just past La Pine and turn left onto Route 31. 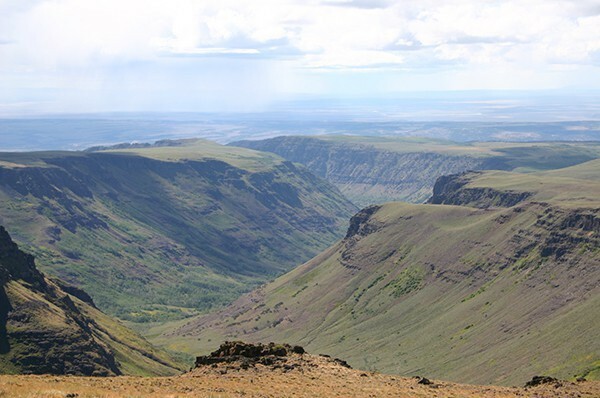 On the edge of needing more than a day, a four-hour trip to the Steens Mountains brings the visitor to an area scoured by Ice Age glaciers forming a number of have-to-be-seen gorges. The resulting 30-mile-long fault-block mountain has a spectacular eastern face that towers over the Alvord Desert, whose massive salt flats and adjacent public hot springs are a must-stop. If you're lucky, you will get to meet "Joe," the proprietor of the springs, who lives on-sight in a futuristic, custom-built trailer. 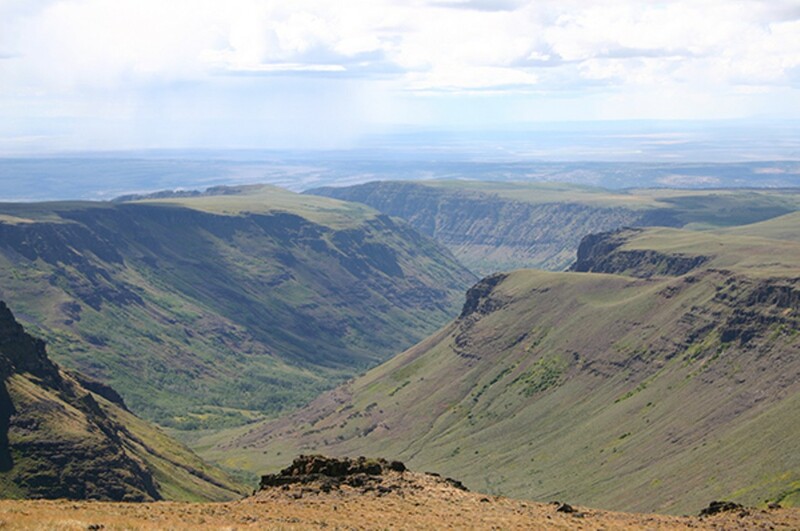 To spend the night, the Frenchglen hotel offers family style living and easy access to wilderness areas. Drive west to Burns, turning south on Route 205.